This year EUROAVIA will turn 60! In order to celebrate this anniversary, the international EUROAVIA community will gather in Aachen from 3rd to 5th of May. The fact that EUROAVIA was founded in Aachen back in 1959 makes this celebration even more special! The participants of Lustrum will have an opportunity to meet many Alumni of EUROAVIA, listen to their stories through different presentations, panel discussions and personal contact. On the other hand, Alumni will get a chance to share their experience, meet their friends and make new ones. 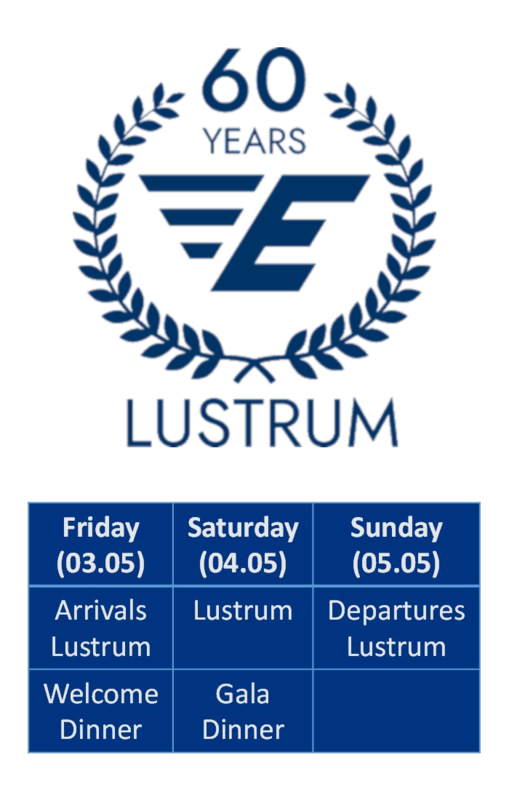 Join us for Lustrum, to celebrate and share the EUROAVIA spirit together! 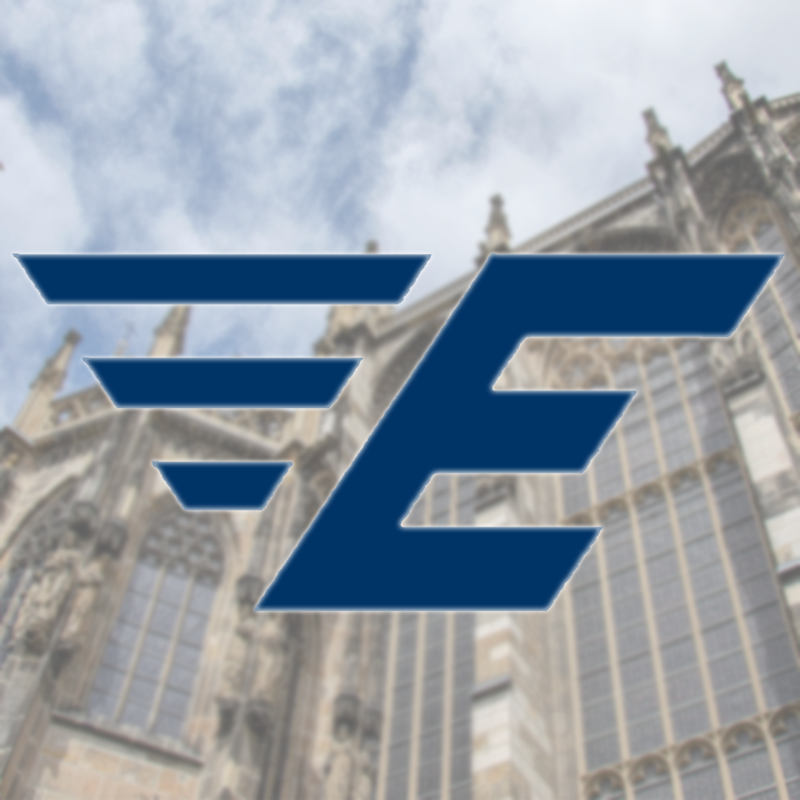 Right after the Lustrum, AS Aachen will host one of the most important events of EUROAVIA, the Electoral Meeting of EUROAVIA Congress – EMEAC. During the week, the participants will get a chance to meet our members, our city and our university, which is one biggest universities of Germany. 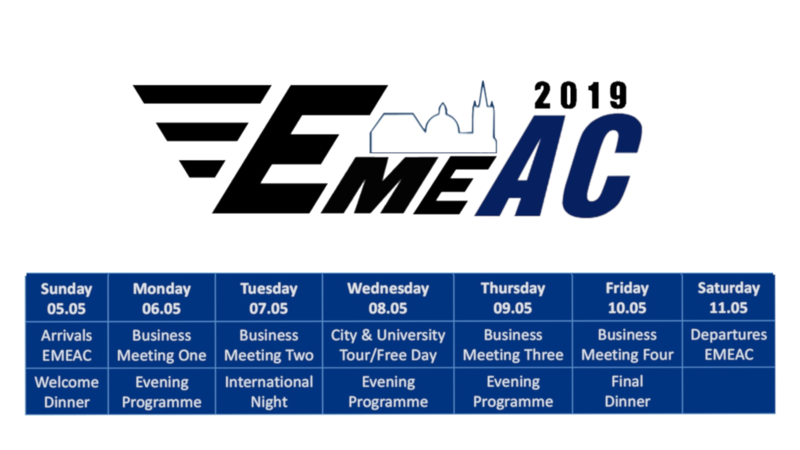 EMEAC is the event when the future of EUROAVIA is being decided, so come and be a part of it! Participation fee for Lustrum is 50€. It will cover the two nights of accommodation throughout the duration of the event, each of the meals during the event, and transportation within the event. Travel costs to Aachen will be covered by each participant. AS Aachen will not provide accommodation outside of the event dates, however, feel free to contact us, we will help you find a solution for any extra days. Participation fee for EMEAC is 120€. It will cover the six nights of accommodation throughout the duration of the event, each of the meals during the event, and transportation within the event. Travel costs to Aachen will be covered by each participant. AS Aachen will not provide accommodation outside of the event dates, however, feel free to contact us, we will help you find a solution for any extra days. Number of regular participants for Lustrum is limited to 60 people. 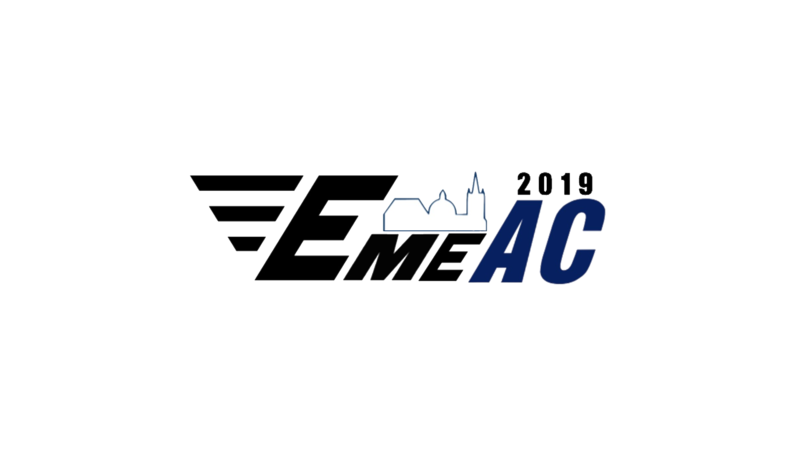 Number of participants for EMEAC is limited to 50 people. After the confirmation of participation is sent to the people on the participants list, the confirmed members will have to follow the payment procedure exposed in the confirmation email. Failure to do so, will lead to a cancellation of their participation with the corresponding cancellation fees if applicable. During the application period, exceptions can be made to the rules in order to maximize the quorum. These exceptions are reserved to AS Aachen’s criteria on each individual case. EUROAVIA Aachen will send the payment information to the confirmed applicants. EUROAVIA Aachen will accept bank transfers. The transfer costs for both services should be covered by the applicant, so that EUROAVIA Aachen receives a total amount of 50€ for Lustrum, 120€ for EMEAC or 150€ for both events. EUROAVIA Aachen will not accept cash payments, unless participant presents a valid reason in advance, in this case EUROAVIA Aachen will study the case and decide on each case individually. Travel costs to Aachen are covered by each participant individually. I accept that participating to any of the Association’s activities I am responsible for myself and therefore exonerate and relieve EUROAVIA Aachen and its members from any civil and penal responsibility, for any potential damage, accident, injury and illness (including death and any kind of invalidity) caused to myself or others and connected or coming from the execution of the Association’s activities and the use of the facilities and the equipment EUROAVIA International needed to execute them, here included accidents and injuries to myself caused by others’ actions. I authorize the photography and/or the video and audio recording of myself, only done for institutional purposes, during any activity or event organized by the Association. I agree with the processing and publication, only for institutional purposes, of video and audio records, photos and/or images of myself on the website euroavia.eu, on the Facebook & Instagram pages, Twitter and the EUROAVIA Aachen YouTube channel and on the EUROAVIA Newsletter. Every applicant will be able to choose if he/she applies for Lustrum, EMEAC or both events. During this period only 1 member per (P)AS/(P)AM will be accepted as well as 5 members from Working Groups (5 WGs will have 1 place each). The selection criteria will be first come first served. Every applicant will be able to choose if he/she applies for Lustrum, EMEAC or both events. During this period the remaining gaps will be granted to the next participant on the waiting list allowing a maximum of 2 participants per (P)AS/(P)AM and 1 per WG in first come first served order. Furthermore, a new (P)AS/(P)AM or WG representative shall have priority over other representatives of the (P)AS/(P)AM already present. Any vacant places will be covered following this procedure. Deadline for free cancellation is 05.04.2019 20:00 UTC. 25% of the fee will be paid if the participant cancels after this date. (12.04.2019 20:00 UTC) After this date, the applicant must pay 50% of the fee. (19.04.2019 20:00 UTC) After this date, the applicant must pay 100% of the fee. Participants on the waiting list that are admitted due to a cancellation, will have 1 week of free cancellation, from the moment the email of their acceptance is sent. After this week, the cancellation fee will be according to the periods listed above.